When I was young, I used to love building forts in my backyard. My friends and I would use sticks and branches to form tent-like structures and then hide underneath and play games. Our forts were ramshackle and poorly constructed, so they usually fell apart by the end of the day, but we didn’t mind. We had safe and secure houses and soft beds to return to. But what if our poorly constructed forts had been our only shelter? This is a tragic reality for many people living in impoverished communities around the world. Entire families often reside in shacks made of mud, sticks, rocks, pieces of metal, or whatever the family can find. These structures are susceptible to intruders, rarely waterproof, and easily destroyed by rain and wind. But without the resources to provide something better, what other options do they have? This was the case for Leticia Méndez and her three children. Because their hut was not waterproof, they often contracted the flu from bacteria that grew in the wet dirt of their floor. Mosquitoes were also a problem, since the home was not properly sealed. Leticia often worried about their safety, since anyone could easily break into their home. 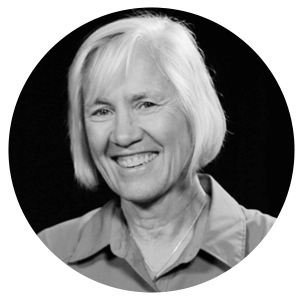 She was desperate to find something better for herself and her children, but how? 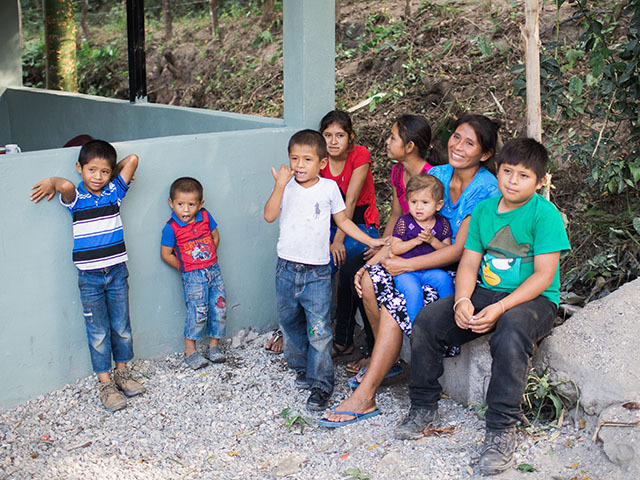 Leticia and her family are not the only ones who have been blessed by a new and much-improved home. 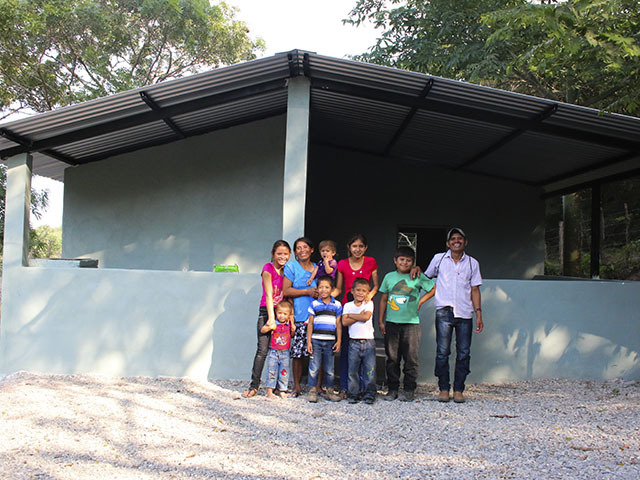 Many families have received these small homes thanks to your generosity. These two-bedroom homes typically include a living space, kitchen, and bathroom. The impact being made on these families is life-changing. However, there is still a great need for more homes like Leticia’s. Small homes are gifts that give a struggling family dignity and hope, and provide them a better life and brighter future. Your generous giving is truly transforming lives! We pray you’ll continue to bring change and hope to families and communities by providing small homes.